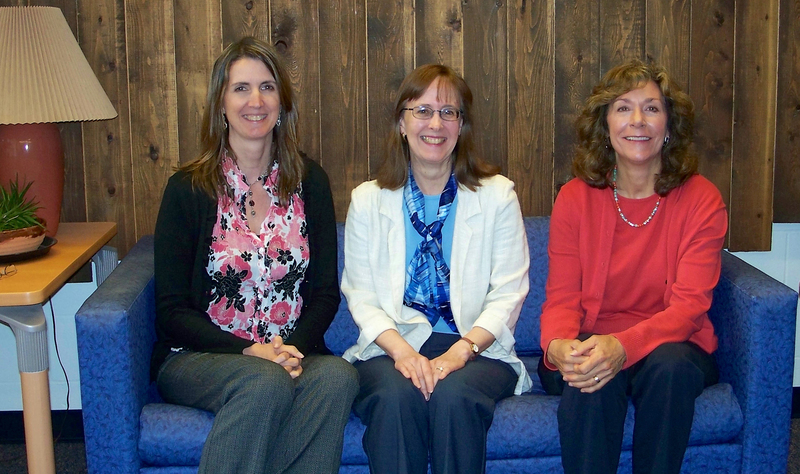 Sue Brightman, Connie Jones and Laura Scuderi were recently named finalists for the University-wide Meliora Award for their work on the construction of the MINERvA neutrino experiment at Fermilab. The University of Rochester neutrino group was responsible for major portions of the $17M detector construction project that was jointly funded by the Department of Energy and the National Science foundation, and ultimately one third of the construction was funded through the University of Rochester. The administrative team was responsible for developing financial reporting systems for the Rochester projects, and their work served as a model for other collaborating institutions on MINERvA. The construction project, including our department's administrative team, received the 2011 Secretary of Energy's Award for Achievement which recognized the success of the MINERvA construction project. The University of Rochester Meliora Award recognizes a select number of staff members whose work performance and dedication during the preceding year exemplify the University’s motto, Meliora (ever better).